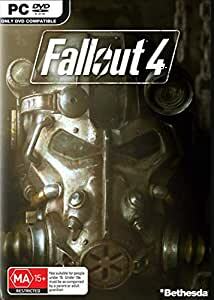 Bethesda Game Studios, the award-winning creators of Fallout 3 and The Elder Scrolls V: Skyrim, welcome you to the world of Fallout 4 - their most ambitious game ever, and the next generation of open-world gaming. As the sole survivor of Vault 111, you enter a world destroyed by nuclear war. Every second is a fight for survival, and every choice is yours. Only you can rebuild and determine the fate of the Wasteland. Welcome home.